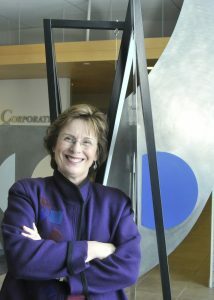 TriMet announces the appointment of Dr. Linda Simmons to the agency’s Board of Directors. An experienced educator, Simmons was appointed by Oregon Governor Kate Brown and confirmed by the State Senate this morning. Dr. Simmons fills the vacant District 3 position, which represents Southwest Portland and Tualatin, Tigard and Beaverton. Her first meeting as a board member will be January 25, 2017. Dr. Simmons is a recently retired community college educator with wide-ranging administrative and executive experience spanning almost four decades. She has received national recognition as a leader in shaping public policy to enhance student access to post-secondary education. Simmons is recognized by her peers as an innovative leader and coalition builder, banding together the diverse needs of civic, education, business and government groups. A native Oregonian, Dr. Simmons earned her doctorate in educational administration from Oregon State University. Before retiring, Dr. Simmons served as President of Corporate College, a branch of Cuyahoga Community College in Cleveland, Ohio that helped fulfill that region’s need for advanced business training. She currently resides in Tualatin. The seven-member TriMet Board is appointed by the governor and sets policy for the agency as well as appoints the general manager, implements legislation pertaining to transit operations and reviews and approves certain contracts. Board members are volunteers and can serve up to two four-year terms. For additional information about the TriMet board, visit http://trimet.org/about/board.